With Christmas right around the corner, it’s time to start shopping for your friends and family. However, are you running out of gift ideas for your favorite coffee lovers out there? Fortunately, with the help of this guide, you should be able to get a few more gift ideas for your close friends and family members who cherish coffee almost as much as you. 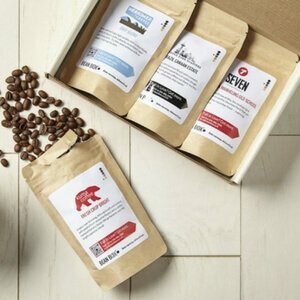 The Bean Box is a subscription service that can bring your brew to you every morning. Say goodbye to Dunkin Donuts and Starbucks when you can get a month’s worth of coffee delivered to you. Coffee subscriptions start at $18/month, which can offer you huge savings throughout the year. Not to mention, you can get variety packs, so you don’t have to drink the same brew every morning. The Breville Barista Express Espresso Machine may be a little pricey, but it’s worth every penny. 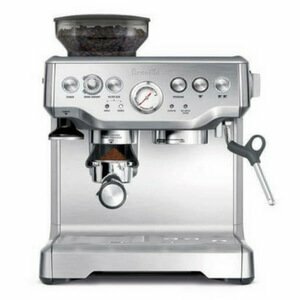 This espresso brewing machine is nearly industry standard and is constructed out of durable stainless steel. It also has a two-liter removable water tank for easy refilling every morning. Although it may not be suitable for a small kitchen, it’s the perfect gift for any coffee lover. 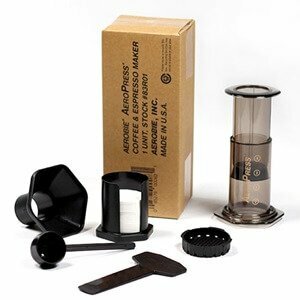 If you have a friend that’s trying to “go green”, the Aeropress is a great gift for them this holiday season. The Aerobie Aeropress Coffee and Espresso maker can make a cup of coffee in less than 30 seconds. Forget needing to drive to your local Dunks when all you need to do is “press” your coffee into your mug. Plus, the Aeropress only weighs one pound, which is ideal if you want to bring it to the office or a friend’s house. 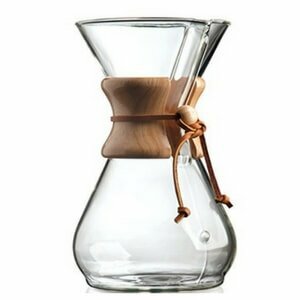 If you’re looking for an authentic coffeemaker to gift your friend, there’s nothing better on the market than the Chemex. This hour glass-styled coffee maker can make up to eight cups of coffee and has a capacity of 40 ounces. It was also chosen by the Illinois Institute of Technology as one of the best-designed product of modern times. 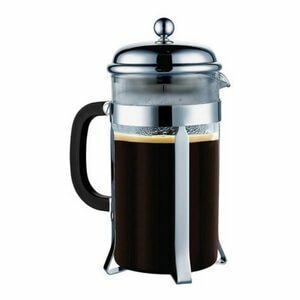 Do you have a friend or family member that’s obsessed with french press coffee makers? Well, the SterlingPro French Press is one of the best ones you can buy. It can make up to eight cups or one liter of high-quality coffee. Also, it’s made of a strong stainless steel construction means it will end up lasting longer than their plastic coffee machine counterparts. Oh, and it is a budget-friendly gift. The MiniPresso Espresso Coffee Maker is perfect for friends or family that’s always on-the-go. This incredibly lightweight and compact device can view espresso without any need for electricity, and is the perfect camping buddy. Plus, it’s made of a durable plastic that’s easy to clean afterward. So, if you’re looking for an easy-to-use, handheld coffee maker to gift this year, the MiniPresso is the best choice for you. If you want to give your friends or family members the best espresso make this Christmas, we highly suggest the Nespresso Inissia Espresso Machine by De’Longhi with Aeroccino. In less than a minute, this espresso maker can make upwards of nine coffees for your delight. Plus, it also creates a soothing froth to your morning espresso to help you get through the day ahead. Although the Nespresso Inissia & Aeroccino is a bit pricey, it’s worth every dollar. 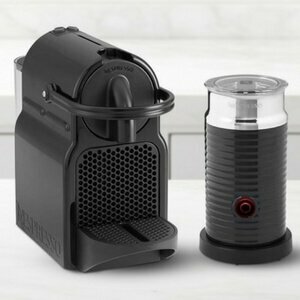 The Baratza Virtuoso Coffee Grinder is an easier, fresher, and a more efficient way to grind your coffee beans daily. 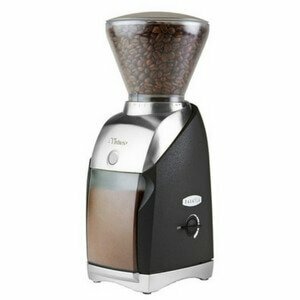 This bean grinder offers less noise and heat than the competition and is made of a metal top and chassis. Plus, it offers far more functionality, thanks to its built-in timer and bean collector. Its professional-grade makes it a truly unique gift for the coffee lover in your life. Let’s just hope they get you something just as special. 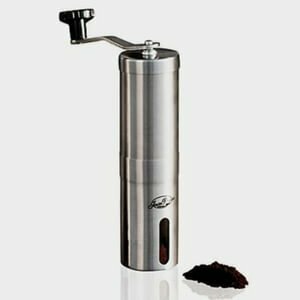 The JavaPresse Manual Coffee Grinder is a perfect gift idea for coffee drinkers who prefer the taste of home ground coffee. This grinder is operated manually, meaning there is no need for electricity or batteries. 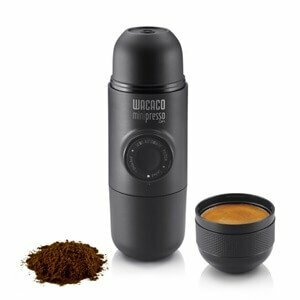 This also makes it great for travelers and campers who do not want to compromise on their coffee taste. This sleek grinder gives you absolute control over the coarseness of your grind and reduces all noise production. 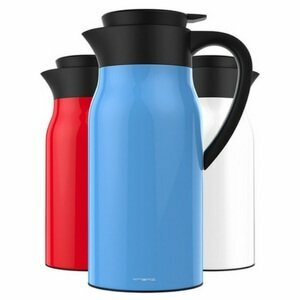 If your loved one enjoys entertaining, then the Vremi Coffee Carafe would be a great gift for them. This container can hold 50 ounces of either hot or cold beverage. It is highly portable and features a no spill lid and easy, push-button pouring. The Vremi Carafe is ideal for entertaining, camping, hiking, and more. This coffee is not for the weak of heart. 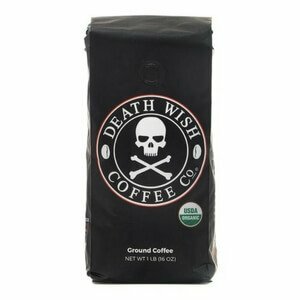 Death Wish Ground Coffee proudly claims that it is the world’s strongest coffee, and its fans would certainly agree. For any true coffee fanatic, this ultra-caffeinated dark roast is an absolute must. As an added bonus, it is also USDA Certified Organic and Fairtrade. One of the biggest struggles most at-home coffee brewers face is keeping their beans or grounds fresh. 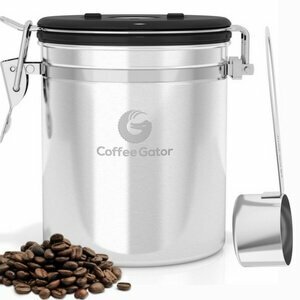 The Coffee Gator Canister is the answer to that problem. Thanks to its unique design, this storage container keeps your coffee fresh and delicious much longer than any other canister. Additionally, the canister comes with a helpful scoop and handy ebook so you can brew and drink the best coffee ever. 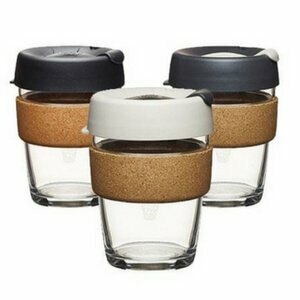 For the eco-friendly coffee lovers out there, the KeepCup Reusable Coffee Cup is an absolute must. This is not, however, your average travel mug. It is microwave safe, durable, and made of recyclable glass. This unique design is only one part of this reusable cups appeal. It is made from non-toxic materials and the lid now comes with a larger drinking hole. Any coffee drinker on your Christmas list would love to receive this gift. Wouldn’t you love to drink coffee shop-quality coffee without having to put on your shoes and go outside? Well with this book, you can. 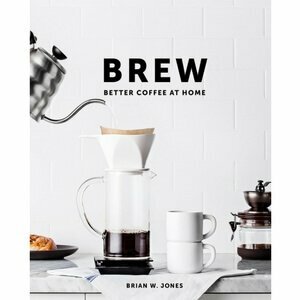 The title really says it all: Brew Better Coffee At Home. Learn all about the ins and outs of professional-quality coffee brewing from buying beans to brewing new recipes. You don’t need to be a professional to read this book; it’s accessible for everyone. 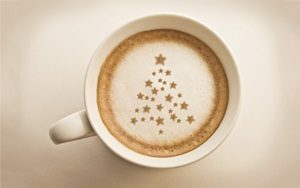 It’s the most wonderful time of the year, especially if you love coffee! There are so many great products on the market that can help your friends and family members brew and enjoy the greatest coffee that they have ever tasted. From books to grinders to coffee beans, there are so many gifts you can give to make the coffee-lover in your life happy. With just a few weeks left before the holiday arrives, it is time to get shopping!